Many times players get knocked off their mark when they are going in to block the kick. 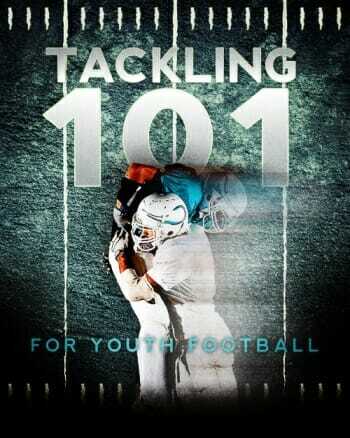 In this punt pressure drill, we demonstrate an excellent technique that you can use to teach the player to stay low and work underneath the blocker. 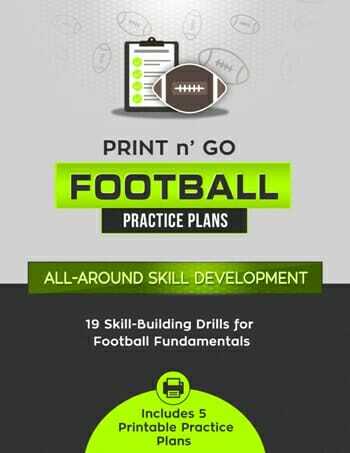 You can also use this drill for receivers, defensive backs and many other positions that need to be comfortable at low pad level. 1. The punt blocker takes the ready stance at approximately a yard’s length from the blocker, who is now diagonal as if simulating a kick slide. 2. The punt blocker is going to take off and use his dip and rip technique. 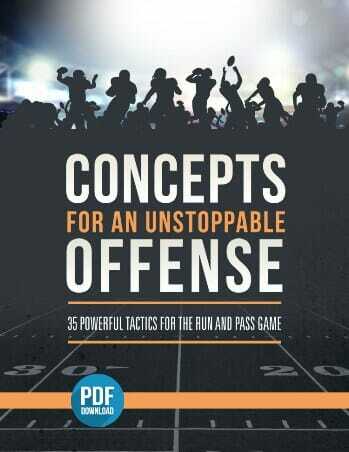 – Make sure the punt blocker is on the proper foot so that he can bend to the inside. All of the weight should be on the outside foot so that when he turns to make his bend, he can’t be ridden out. 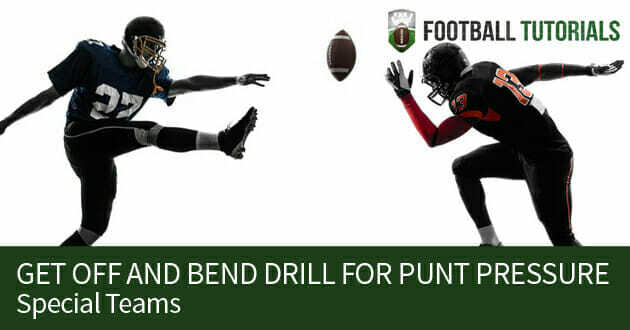 – The punt blocker should come straight down and get up underneath the blocker so that the punt blocker can’t be angled off.